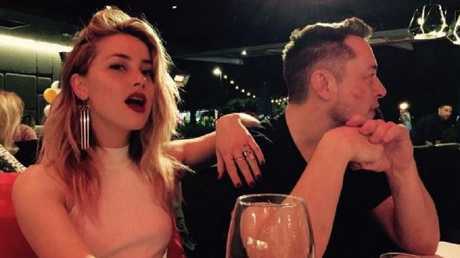 Johnny Depp claims ex-wife Amber Heard had a secret fling with Tesla founder Elon Musk that started just one month into their marriage, according to a lawsuit obtained by . Musk's representative has refuted the claim saying the tech giant and actor did not begin their relationship until her marriage with Depp ended, and it did not become romantic for some time after. Heard, who has become a public face of domestic abuse issues, denies Depp's claims. "This frivolous action is just the latest of Johnny Depp's repeated efforts to silence Amber Heard," said her lawyer, Eric M. George, to People. "She will not be silenced. Mr Depp's actions prove he is unable to accept the truth of his ongoing abusive behaviour," the statement continued. "But while he appears hellbent on achieving self-destruction, we will prevail in defeating this groundless lawsuit and ending the continued vile harassment of my client by Mr Depp and his legal team." Heard and Depp's divorce was finalised in 2017.